Using an academically vetted brand equity model with elements like familiarity, quality, and purchase consideration, brands create powerful connections with consumers. The stronger the brand, the greater the bond. 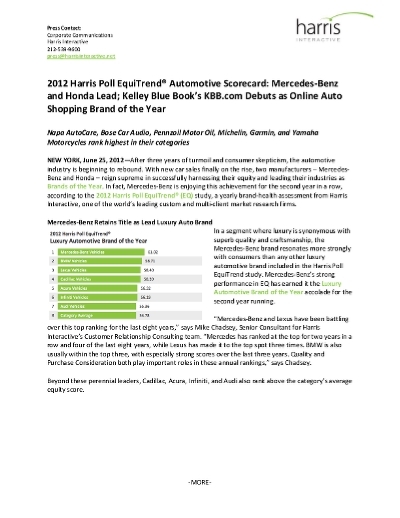 The Harris Poll EquiTrend study benchmarks how deep those bonds go and honors the highest ranked brands in each award category.